Objective: To determine the characteristics of children presenting with pain at the Pediatric Dental Clinic of a Tertiary Hospital in Nigeria. Materials and Methods: This prospective study was conducted among consecutive patients attending the Pediatric Dental Clinic of the University of Benin Teaching Hospital, Benin City, Nigeria. Chi-square test was used in comparing proportions, and statistical significance was set at P< 0.05. Results: A total of 193 child dental patients aged between 2 and 16 years with a mean age of 9.00 ± 3.91 years were studied. The majority of the participants were females (61.1%) aged 6–12 years (57.5%), indigenous people (64.2%), of high socioeconomic status (69.4%), and their mother had a tertiary education (63.2%). More than three-quarters (84.5%) of the participants reported tooth-related dental pain. Participants of middle and high socioeconomic status and those whose mothers had more than primary education significantly had more tooth-related pain. The primary diagnosis was mainly dental caries and its complications. The main treatment rendered includes extraction, root canal treatment, pulpectomy, and scaling and polishing. There was a significant association between age, main diagnosis, and treatment rendered. Conclusion: Tooth-related pain which is the predominant dental pain in this study was significantly lower in children of lower socioeconomic status and whose mothers had lower educational attainment. Background: The data available about the knowledge of tooth avulsion in Indian school children is minimal. There is a tremendous need to evaluate awareness regarding appropriate emergency measures to be followed after avulsion by them. Therefore, this study was planned. Aim: To assess the knowledge regarding tooth avulsion in athletically active high school children of Chandigarh. Materials and Methods: The sample consisted of 997 (750 boys, 247 girls) school players in the age range of 10–17 years. The participants were interviewed through a standardized questionnaire. Statistical analysis was done by Chi-square test. Results: In cases of participants who knew about tooth avulsion (37.3%), only 38.4% of them were in the opinion to replant the tooth in its socket. More number of males would try to replant the avulsed tooth and in older age group. Almost half of the players would transport the avulsed tooth in paper, plastic or cotton, 28.6% would transport in hand and only 11.9% in tap water. Milk was considered the ideal storage medium by only 4.8% of the participants. Conclusion: More emphasis should be made on organizing educational campaigns which provide education to teachers, parents, and school children regarding appropriate emergency measures to be followed after tooth avulsion. Objective: Periodontal diseases are treated using nonsurgical treatment methods and surgical treatment methods. There is a paucity of information on surgical periodontal treatment in Nigerian periodontal healthcare settings. The objective of the study was to determine the indications and pattern of surgical periodontal treatment in the University of Benin Teaching Hospital, Benin City, Nigeria. 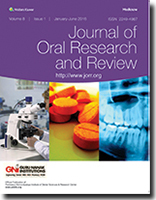 Materials and Methods: This retrospective review of patients that had surgical periodontal treatment at University of Benin Teaching Hospital, Benin City, Nigeria, over a 37 month period (January 2013–2016) was done using a self developed proforma as the data collection tool. A total of 52 patients out of the 5111 patients treated within the period had surgical periodontal treatment and were subsequently analyzed using SPSS version 20.0. Results: The patients aged between 16 and 81 years with a mean age of 44.15 ± 18.99 years and a median age of 45 years had surgical periodontal treatments. The majority of the patients were older adults (57.7%) (middle-age adults [34.6%] and elderly [23.1%]) and females (75.0%). The indications for the surgical periodontal treatment were mainly periodontal abscess and gingival enlargement. The gingival enlargement was majorly pyogenic granuloma in 41.2% (7/17) and fibrous epulis in 23.5% (4/17). Incision and drainage and gingivectomy constituted the main surgical periodontal treatments among the patients in this study. Age and gender were found to be significantly associated with the indications for surgical periodontal treatment and the pattern of surgical periodontal treatment among the patients. Conclusion: Periodontal abscess and gingival enlargement constituted the main indications for surgical periodontal treatment while incision and drainage and gingivectomy were the main surgical periodontal treatments in this study. Adenoid cystic carcinoma (ACC) is a rare malignant tumor that affects the head and neck region. It is a malignant tumor arising from minor salivary glands, palate being the most common intraoral location, usually affecting individuals of the fifth decade. This tumor generally has a slow growth rate, and it is often present for several years before the patient seeks treatment. We report a case of extensive ACC involving palate, extending to a maxillary sinus in a young lady. Drug-induced gingival overgrowth or enlargement is an abnormal growth of the gingiva due to an adverse drug reaction in patients treated with anticonvulsants, immunosuppressants, and calcium channel blockers (CCBs). CCBs are considered as one of the etiologic factors among patients seeking dental care for drug-induced gingival enlargement or overgrowth. This enlargement can be localized or generalized and can range from mild to extremely severe, affecting patient's appearance, and function. CCBs are one of the most commonly used drugs for the management of cardiovascular disorders and are known for causing gingival over growth. Amlodipine is a new CCB and has been used with increasing frequency in the management of hypertension and angina. Although amlodipine is considered as a safe drug, very rarely it may induce gingival overgrowth. 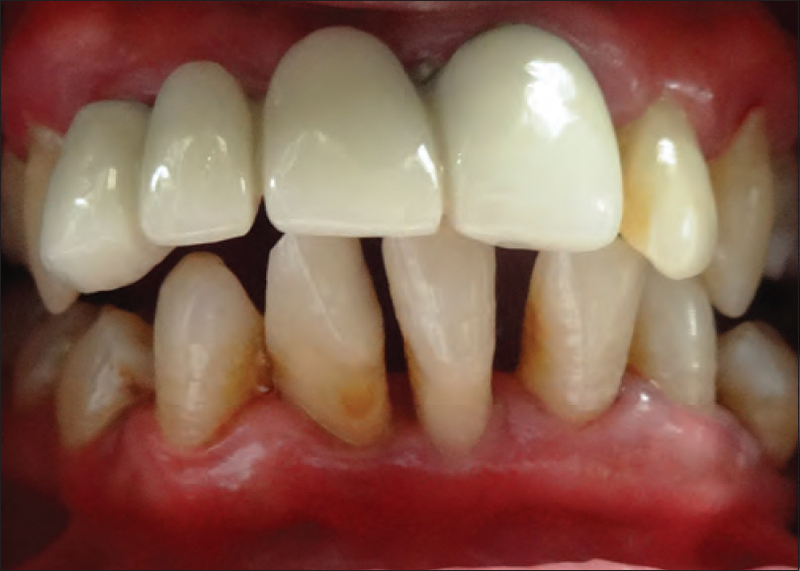 A rare case of amlodipine-induced gingival overgrowth has been reported herein a 45-year-old female patient. The treatment aspect included scaling and root planing, substitution of the drug, the surgical excision, and the maintenance and supportive therapy resulting in an excellent clinical outcome. The acute-phase response (APR) is a prominent systemic reaction of the organism to local or systemic disturbances in its homeostasis caused by infection, tissue injury, trauma or surgery, or immunological disorders. The tissue macrophage is most commonly regarded as initiating the APR through direct stimulation and secretion of various cell communicating factors. Proinflammatory cytokines and mediators are significantly elevated with gingival inflammation and during the destructive phase of periodontitis. Cytokines appear to play a major role in the clinical symptoms and tissue destruction associated with progressing periodontitis. Many of these cytokines are derived from activated macrophages and can act both locally and distally to amplify cytokine production from other cell types. The host responses to periodontal disease and cardiovascular diseases were reflected by an increase in the acute-phase proteins (serum amyloid A and C-reactive protein). Bone resorption is a natural phenomenon and can occur due to old age, loss of teeth, prolonged denture wear, or as a result of systemic conditions. For the replacement of teeth by fabrication of prosthesis or the use of implants, a minimum amount of bone density is required. Bone grafting is a method by which bone-deficient areas are built up, with the use of different materials, such as autografts, allografts, alloplasts, and xenografts. Over recent times, the use of frozen bone matrix formulations and synthetic ceramics has been used in greater frequency. This article discusses the use of human bone material (allografts), synthetic materials (alloplasts) and blood components as successful grafting materials. Their use has shown an effective amount of bone formation and proliferation in the defective sites and proves to be a beneficial choice in bringing back lost bone. Nonsurgical therapy aims to eliminate both living bacteria in the microbial biofilm and calcified biofilm microorganisms from the tooth surface and adjacent soft tissues. Complete elimination of such pathogenic microorganisms is perhaps over-ambitious. However, a reduction in inflammation of the periodontium due to a lesser bacterial load leads to beneficial clinical changes. 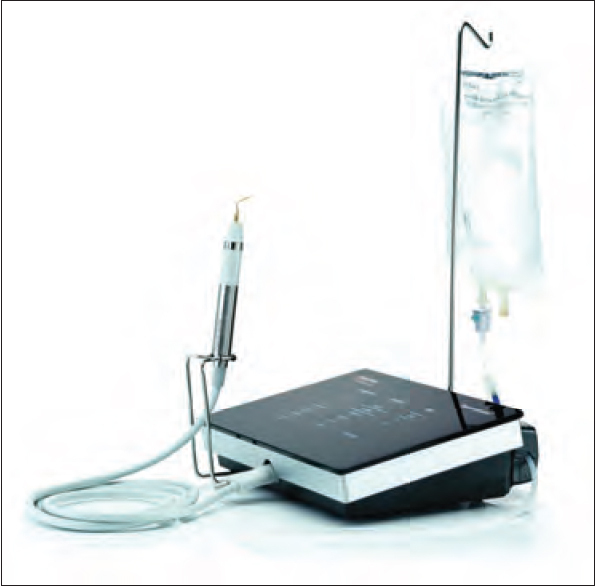 In addition, nonsurgical therapy aims to create an environment in which the host can more effectively prevent pathogenic microbial recolonization using personal oral hygiene methods. The concept of critical probing depth was consistently found to be greater for the surgical approach than for the nonsurgical treatment. The various methods used in nonsurgical therapy, such as hand instrumentation, ultrasonic and sonic scalers, and ablative laser therapy. Cellular cannibalism is defined as the ability of a cell to engulf another living cell leading eventually to the death of the internalized cell. It has been considered as an important morphologic feature to distinguish benign from malignant lesions and an emerging indicator of both the anaplastic grade and invasiveness. Cannibalism has even been hypothesized to be related to the metastatic capabilities of malignant cells. It is considered as a sort of “feeding” activity aimed at sustaining survival and progression of malignant tumor cells in an unfavorable microenvironment. Cell-in-cell formation promotes tumor progression, by inducing changes in cell ploidy. It is especially valuable as it eventually helps in assessing tumor behavior. It may function as a way of eliminating malignant cells or alternatively the ingested cell may serve as a source of nutrients for the proliferating cell that shows this cannibalistic behavior.